A tool for measuring underground orebody flow in block and sublevel mines providing high resolution, real-time extraction data. The Smart Marker System uses hardened radio frequency identification technology to automate the marker detection process, allowing the measurement and analysis of underground ore movement to be carried out without affecting production draw rates. 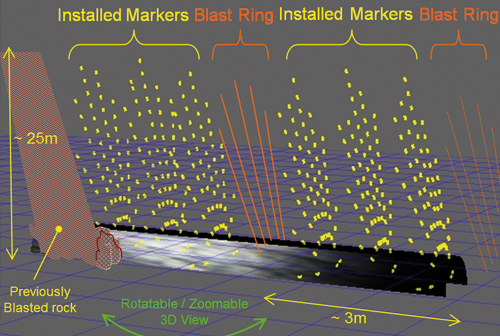 By automating Smart Marker detection and providing high resolution data that can be easily viewed and interpreted, the Smart Marker System makes it easy to monitor and assess flow in mass mines. This Smart Marker System provides a more robust and versatile alternative to other cave monitoring systems as the data is transmitted wirelessly through rock, and thus is not vulnerable to hole shearing/dislocation experienced with current cave monitoring systems. Readers are installed above locations where the LHDs, extracting ore and Smart Markers will travel. 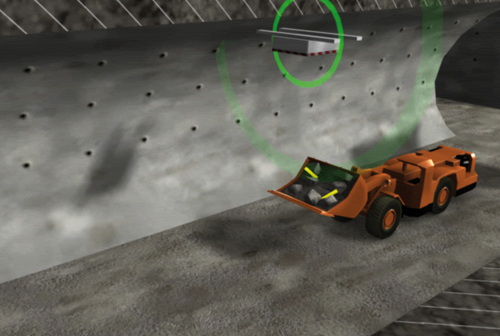 Smart Markers are activated and installed in the ore body, or are ‘fed’ to the cave. After installation, Smart Markers flow with the ore to the drawpoint. An LHD loads ore and any Smart Markers into its bucket. 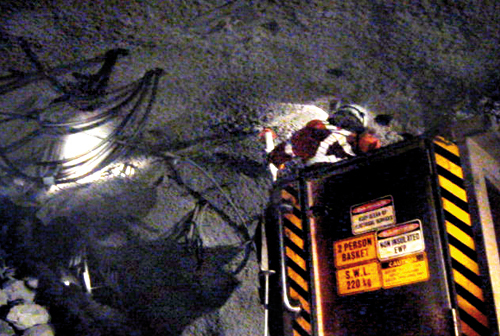 Readers mounted to the ‘back’ (ceiling) of the mine automatically detect Smart Markers in the LHD bucket (allowing the draw point to be established). Reader data is transferred to the surface via network or Bluetooth download to a Scanner. Underground rock flow analysis begins as soon as Smart Markers are automatically detected. 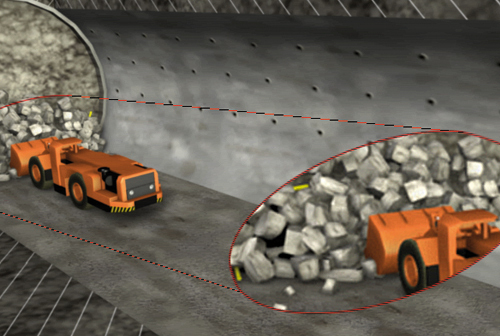 Graphical tools, such as ‘RockView’, supplied with the Smart Marker System, simplify the task of analysing the underground rock flow in the mine. Data can also be exported to spreadsheets or other analysis tools. Watch our presentation on the Smart Marker System.